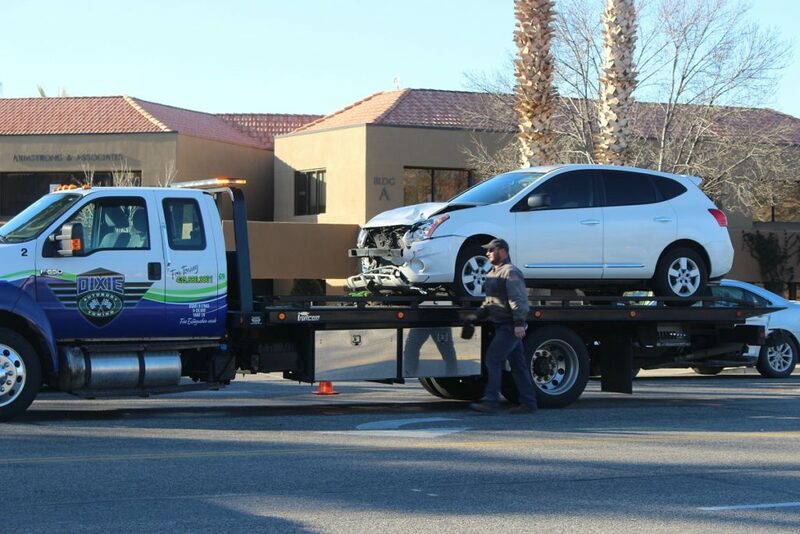 ST. GEORGE — A driver failed to stop for a line of cars waiting for a green light sparking a four-vehicle crash in front of Harmons Neighborhood Grocer on East 700 South in St. George during the chilly morning Friday. Police and emergency crews responded to the crash near the intersection of South River Road and East 700 South in St. George just before 9 a.m. On arrival they checked all vehicle occupants for injuries before officers began diverting traffic around the large scene. Officers determined after speaking with witnesses that a white Nissan Rogue was traveling east on East 700 South where traffic was backed up at the intersection of South River Road waiting for the light to turn green, police Sgt. Craig Harding said. The woman driving the Nissan continued toward the line of stopped vehicles and, for reasons that are still under investigation, was unable to stop in time, Harding said, and struck a blue Toyota Corolla that was then pushed into a white Chevrolet Cruze. The Chevrolet was launched forward into the rear bumper of a gold Toyota Camry that was first in the line of vehicles waiting for the light to change. The driver indicated to responding officers, Harding said, that as she approached the line of cars she applied her brakes but they failed and she was unable to stop in time to avoid hitting the car directly in front of her. “We are investigating possible distractions, and we are investigating possible mechanical failure of the vehicle,” he said. 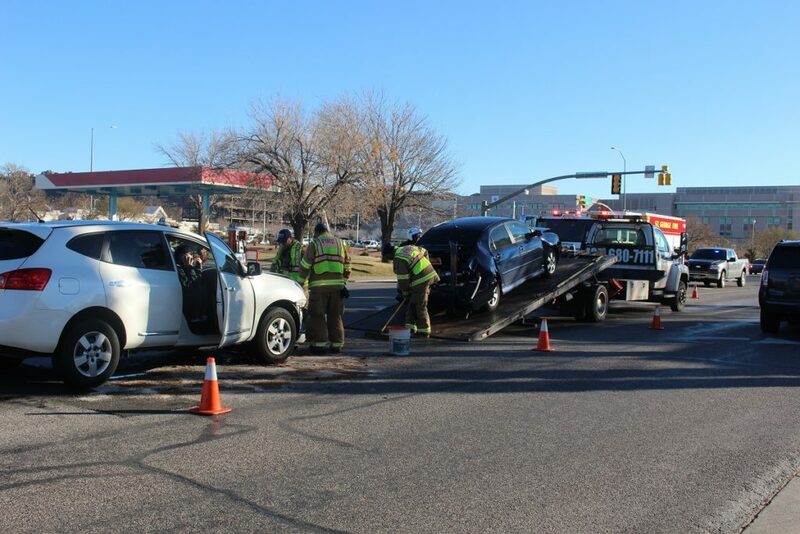 Two of the vehicles sustained minor damage and were driven from the scene, while the Toyota and the Nissan suffered extensive damage and were subsequently towed from the intersection. St. George Police and Fire departments and Gold Cross Ambulance responded to the scene. 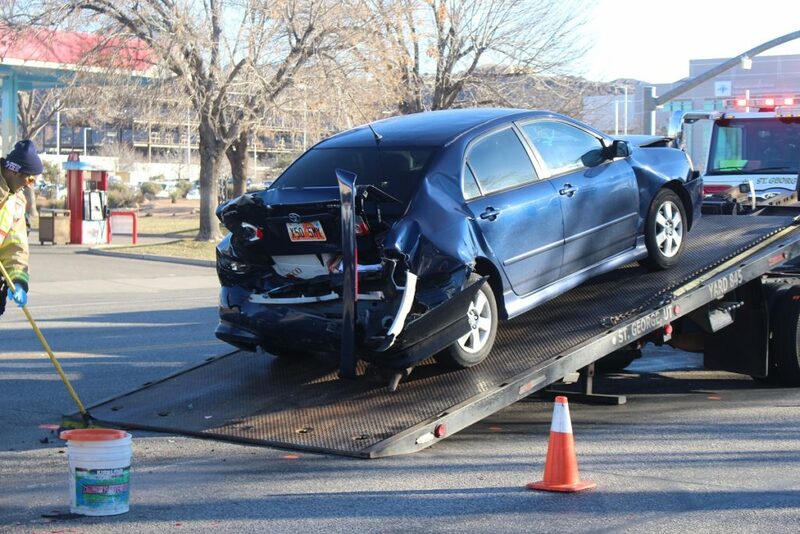 Rear-end collisions in St. George comprise approximately 60-70 percent of all crashes. Drivers are looking down only for a second and once they look back up traffic is stopped, Harding said. With little reaction time these drivers are unable to stop and hit the car directly in front of them. 700 S, Bluff St, Sunset . I travel down them all on a daily basis – at the Speed Limit – which means there is always someone 3 inches off my bumper chomping at the bits. It’s really laughable how oblivious STG drivers are to their speed. 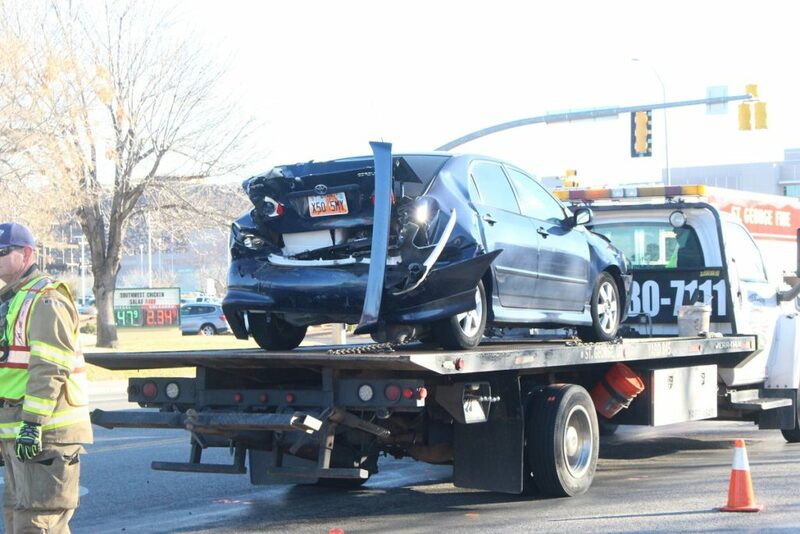 I’ve seen many crashes on Bluff lately – not surprising when you’re traveling at maybe 60 mph and tailgating! Oh oh. It seems you know something nobody else does. are you going to let us in on your conspiracy theory ? No conspiracy theory; Bob nailed it. The odds for “spontaneous brake failure” on a late model Nissan are a lot less than yet another St George driver texting and not paying attention to traffic.